Daryl Quitalig - For Shaw Media Jeff Larkins, future McHenry County Youth Sports Association Executive Tournament Director, speaks during the opening ceremonies of the McHenry County Youth Sports Association 15-U division baseball tournament in Crystal Lake, Ill. on Saturday, July 26, 2014. Daryl Quitalig - For Shaw Media Yuko Matsumoto, Chairwoman of the International Division of Japanese Little Senior Baseball, sings the Japanese national anthem at the opening ceremonies of the McHenry County Youth Sports Association 15-U division baseball tournament in Crystal Lake, Ill. on Saturday, July 26, 2014. 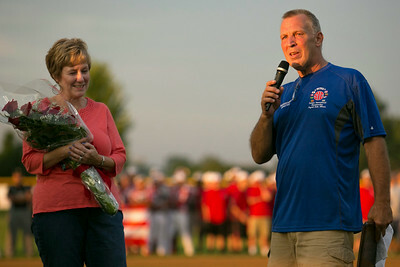 Daryl Quitalig - For Shaw Media Beth Sebesta (left) listens on as her husband Jack, McHenry County Youth Sports Association Executive Tournament Director, gives a speech during the opening ceremonies of the MYCSA 15-U division baseball tournament in Crystal Lake, Ill. on Saturday, July 26, 2014. Daryl Quitalig - For Shaw Media Puerto Rico All-Stars coach Anthony Rodriguez throws a first pitch to Crystal Lake Cardinals catcher Michael Swiatly at the opening ceremonies of the McHenry County Youth Sports Association 15-U division baseball tournament in Crystal Lake, Ill. on Saturday, July 26, 2014. A matchup between the All-Stars and Cardinals was one of two feature games Saturday night. 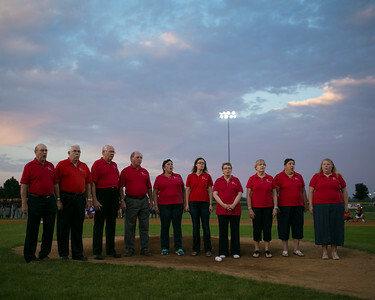 Daryl Quitalig - For Shaw Media Voices in Harmony sings the "Star Spangled Banner" at the opening ceremonies of the McHenry County Youth Sports Association 15-U division baseball tournament in Crystal Lake, Ill. on Saturday, July 26, 2014. 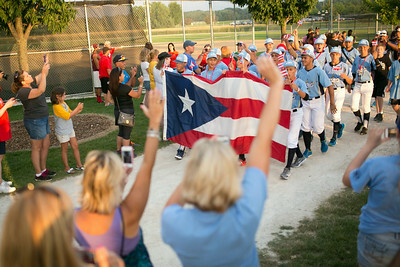 Daryl Quitalig - For Shaw Media Puerto Rico All-Stars are cheered on by spectators during the "Parade of Champions" preceding the opening ceremonies of the McHenry County Youth Sports Association 15-U division baseball tournament in Crystal Lake, Ill. on Saturday, July 26, 2014. Daryl Quitalig - For Shaw Media Team Japan's Masoto Soeda bows after being announced during the introductions of Saturday's feature games at the opening ceremonies of the McHenry County Youth Sports Association 15-U division baseball tournament in Crystal Lake, Ill. on Saturday, July 26, 2014. 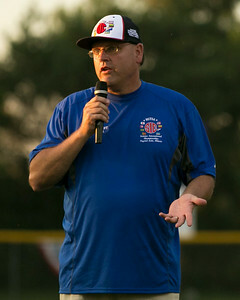 Jeff Larkins, future McHenry County Youth Sports Association Executive Tournament Director, speaks during the opening ceremonies of the McHenry County Youth Sports Association 15-U division baseball tournament in Crystal Lake, Ill. on Saturday, July 26, 2014.